Groove Tunes has a mixture of new technology and vintage gear. 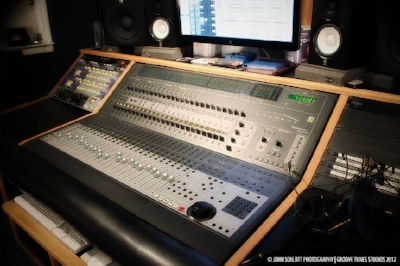 For each specific project we implement the proper technology and methods that produce the best sound in the least amount of time. These sorts of decisions can only be made by an experienced engineer who understands the client's objectives, and who has the technical and musical background to make all the best decisions to achieve optimal results.